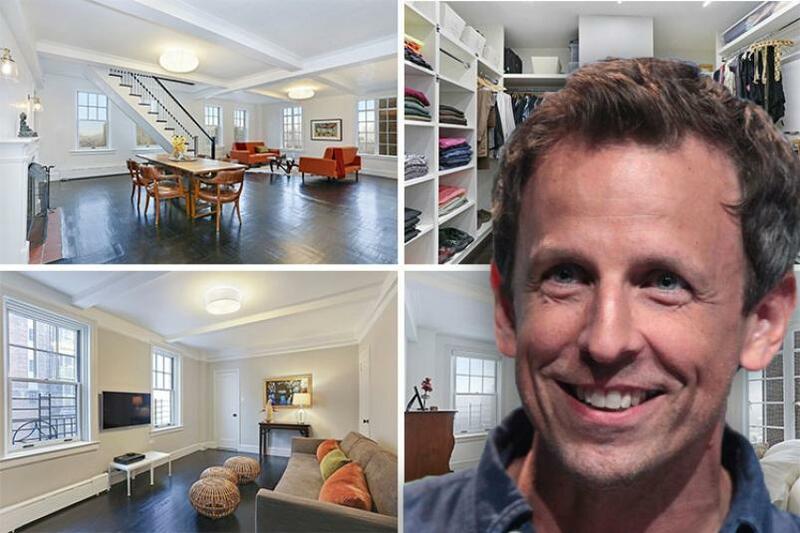 Late night host Seth Meyers and his family have finally moved into the Greenwich Village condo they purchased in 2016, shortly before selling their West Village home to real estate magnate Michael Fuchs for $4.35 million. The original asking price was $4.5 million. Meyer's former home once housed celebrities including actress Glen Close. The typically deserted west end of Charles Street was abuzz with activity Tuesday afternoon. The ginormous construction site that is slowly being developed into the very plush, very exclusive 150 Charles Street was on display for a horde of onlookers in hard hats who’d come to celebrate the building’s topping out. Singer/songwriter Carly Simon has finally sold her Manhattan apartment at 46 Commerce Street after desperately trying to rid herself of this charming abode for quite some time. 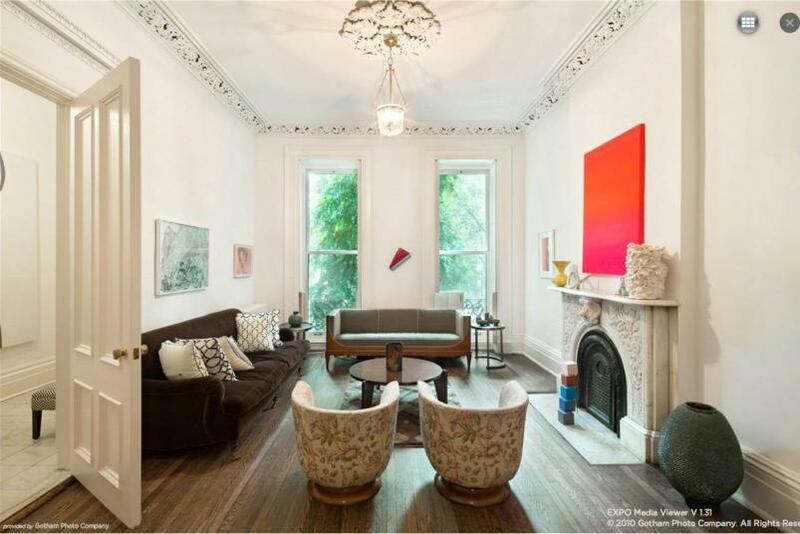 The folksy singer's West Village pad, which was built in 1817, was going for $3.8 million back in 2008. The price was chopped to $2.75 million a while back, but it ultimately sold for just $2.32 million. With a listing period of just over five years, it was obviously having trouble garnering potential buyers. Pop icon, Yoko Ono, has decided to finally try again to sell her son's old "horse-stable turned posh condo" home in the West Village--now for a rather modest $6.5 million. 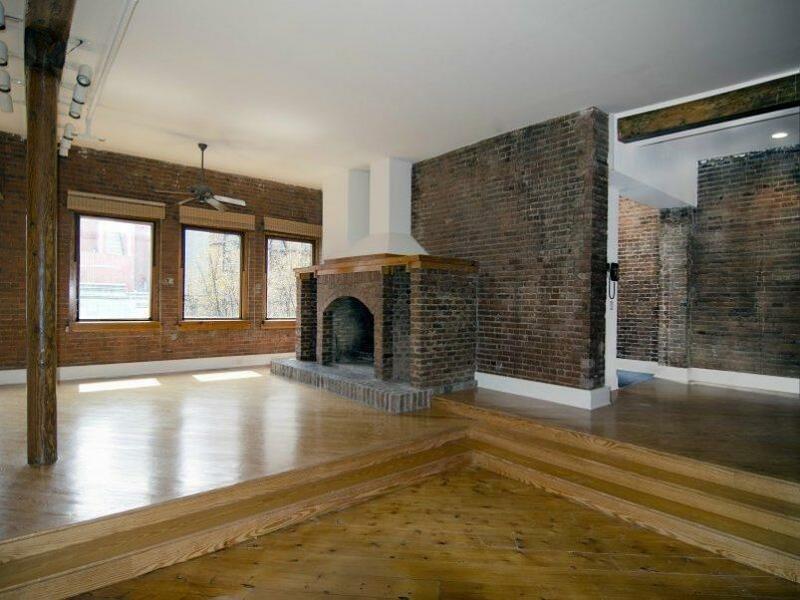 The ruggedly chic co-op apartment is at 49 Downing Street and still features plenty of wooden beams, exposed brick, and working fireplaces that would make it quite the ideal abode for any "urban country" dwellers looking for a Village home. $12M Sought for “West Side Story” Playwright’s Former Residence! The townhouse of Arthur Laurents, the deceased playwright and screenwriter of “West Side Story“ and “The Way We Were,” is now on sale for $12 million after several failed attempts as a rental property. 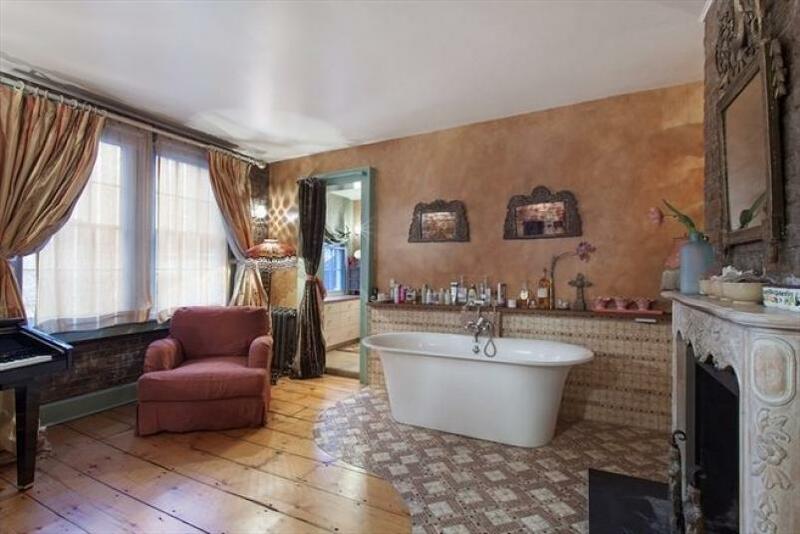 Laurents’ four-bedroom, four-and-a-half bath, 1860’s home at 9 Saint Luke’s Place, where he lived until 2006, went on the rental market last year seeking a hefty $35,000 a month. A mere ten days later, that price was slashed to $18,000 a month. 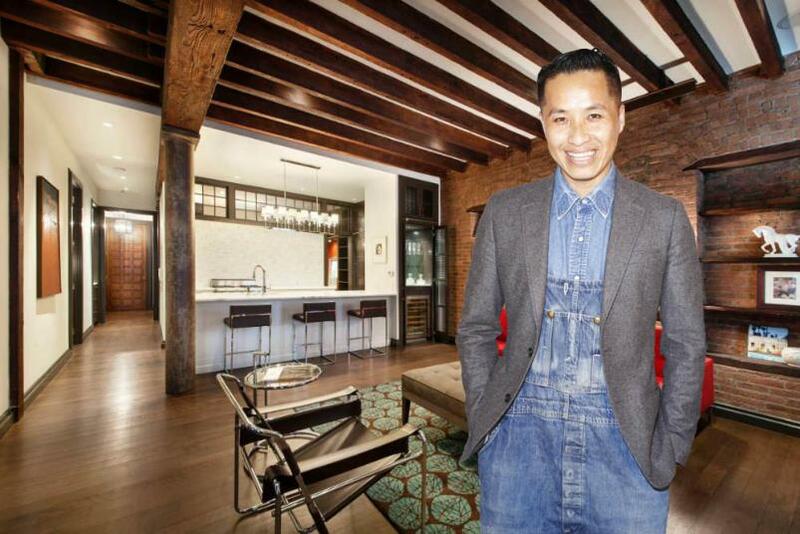 Noted fashion designer Phillip Lim has signed a six-month, $12,500-per-month contract for a pad at 35 Bethune Street in the West Village while he awaits the completion of the $1.85-million condo he bought last year at 19 Greene Street. 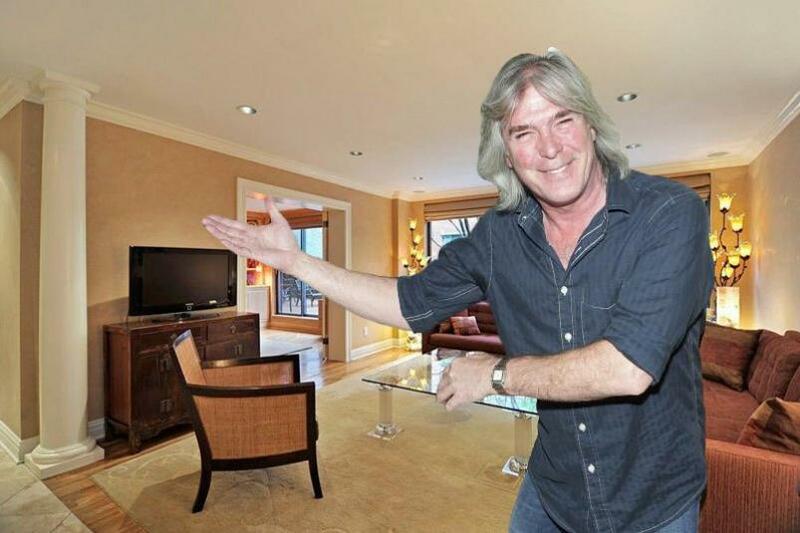 Clifford Williams, British Bassist of the hard rock band AC/DC, has listed his two-bedroom West Village condo at 63 Downing Street for “only” $1.899 million. Williams has been very active on the real estate market for several years. In 2010, he offloaded his Georgia and Florida homes and bought another Florida mansion in Fort Myers for $5.1 million. The American actress Claire Danes and British actor Hugh Dancy have just picked up a townhouse in the Greek-revival style at 19 Downing Street for $6.9 million. 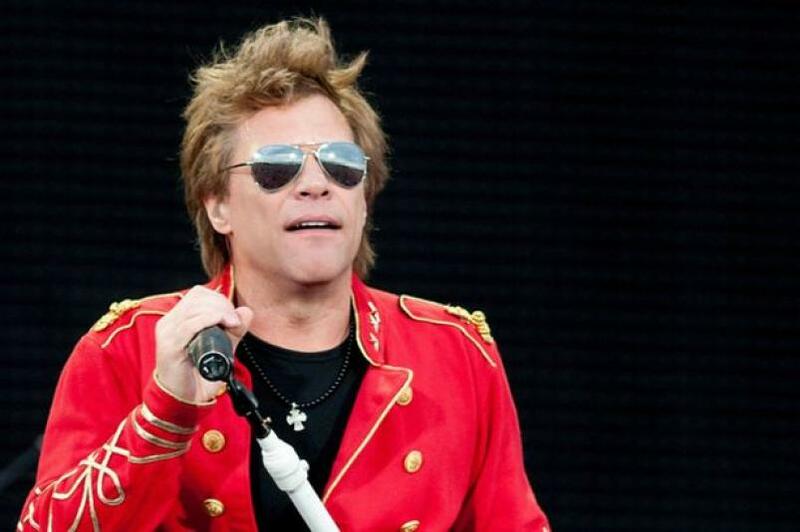 The couple sold their 3,861 square-foot loft in Soho for $5.85 million last November while Claire was pregnant. The reason for selling was that Claire wanted to move to a “larger and more family-friendly” home—and now we see what the “Homeland” star was looking for. Carly Simon, the highly talented Singer and Songwriter perhaps best known for her early ‘70’s hit “You’re So Vain” has relisted her lovely West Village duplex at 46 Commerce Street. She had listed it for anywhere from around $2.5 to $3.8 million, but so far it hasn’t sold. But she’s not one to give up. The pad is described as “having love-rekindling powers” by those in the know. MMMMMMMM..just in time for Valentine’s Day! American model Karlie Kloss has bought her "very first home" in NY, a West Village co-op worth $1.97 million. Karlie recently stated that she’s been traveling back and forth between St. Louis and New York for the past five years and cannot wait to have her own place in New York. Besides this, she has also just received the honor of being number two on models.com's Top 50 Models Women. Designer Marc Jacobs has been harmed by Hurricane Sandy and has moved temporarily to the Upper East Side, sources have told us. Marc purchased a 4,500-square-foot Neo-Georgian townhouse that is a part of the Superior Ink condo-torium, in 2009 for $10.495 million. Interior designer That Hayes helped Marc and his boyfriend Lorenzo Martone renovate the place. We learned earlier this week that the lobby of Superior Ink became flooded when Hurricane Sandy caused record water levels to rise and invade city streets..
Hurricane Sandy, the most devastating storm in history to hit Manhattan, and the largest Atlantic hurricane in diameter on record caused flooding, destruction, burned homes and deaths in New York. 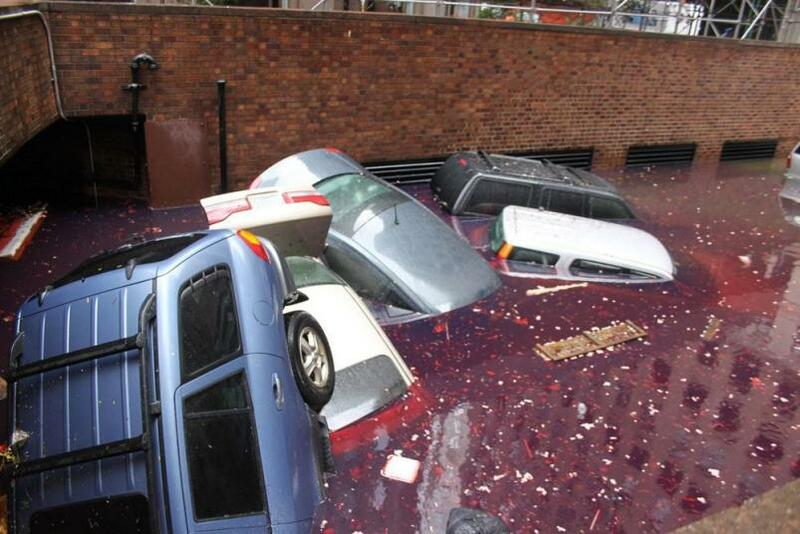 We received incredible pictures, taken a few hours after the storm hit New York. 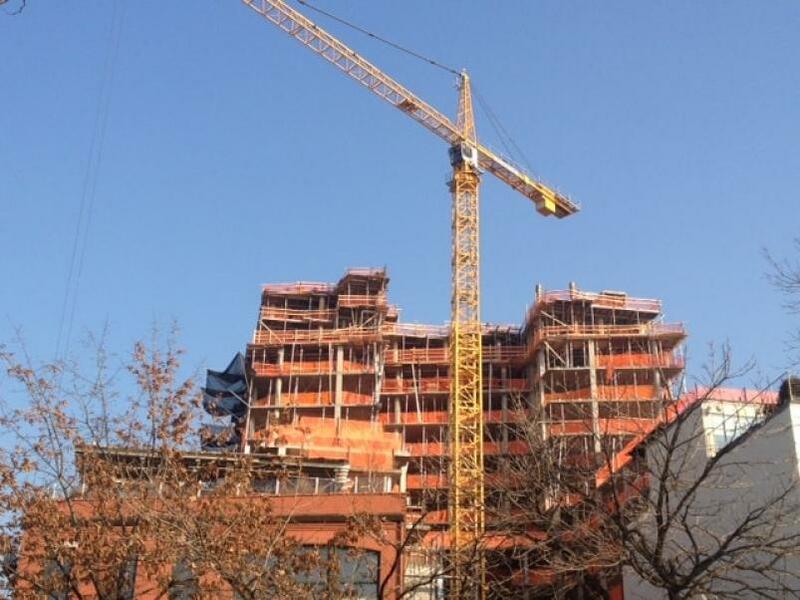 The pictures show floating cars, flooded construction sites, the dangling One57 crane, chaotic scenes around Con Edison, flooded tunnels, crushed cars hit by trees and flooded buildings. 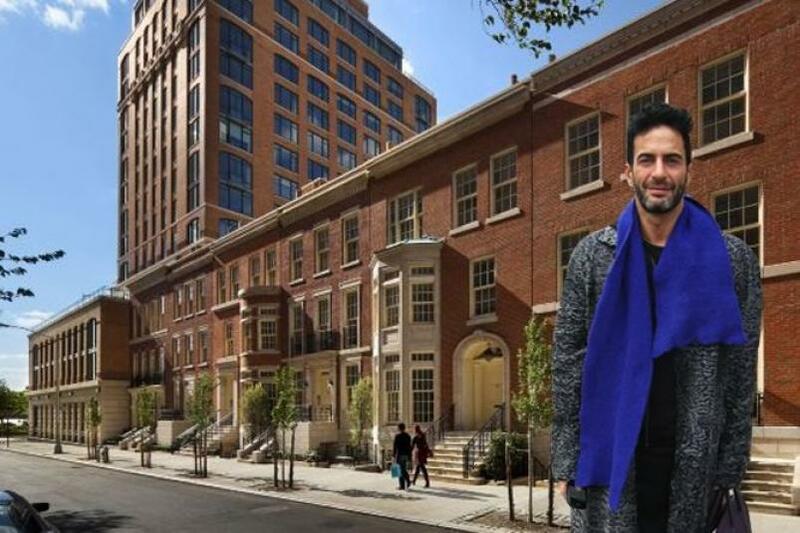 There it is – the first price cut for Steve Ells townhouse at 92 Jane Street. Purchased in 2008 for $13.4 million, Steve tried to sell it for $16.5 million – making a $3.1 million profit in just four years. The new price is $14.9 million, leaving Steve with a profit of barely $1.5 million if it sells at the new asking price. That's still a lot of money as most of us would do anything to make $1.5 million on a 4 year investment. 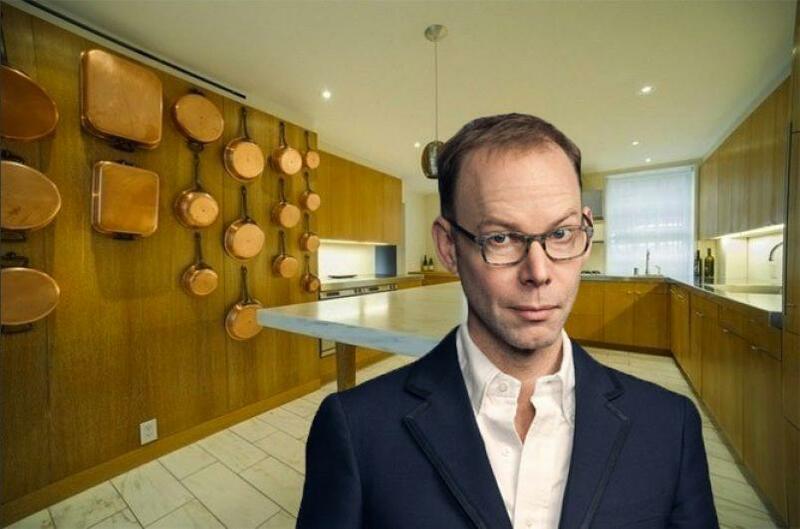 Steve Ells, Chipotle’s founder, co-CEO and Chairman has listed his completely redesigned West Village townhouse for $16.5 million. The 5,000-square-foot Greek Revival house located at 92 Jane Street underwent an extraordinary renovation, transforming the rear façade installing super modern floor to ceiling windows, and in turn building up walls around the garden for 100% privacy. Ells purchased the townhouse right after its transformation into a minimalist-modern-palace in 2008 for $13.4 million.